PreQM is excited to help one of the largest networks with their Casting Call for a more mature "bachelorette-esque" show for single men & women in their 30s & 40s who want to have a family. 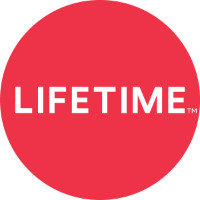 We are also helping A&E/Lifetime Cable Network with their casting call. Do you have a friend who you have ever thought could be something more? Want to see if you would actually be a good match, or if you should keep things strictly platonic? Are you tired of swiping left & looking to star in your own love story? Ready for the next stage in life? One of the largest networks is casting for a more mature "bachelorette" themed show for 30 & 40 YOs. An empowering series where you might find love or a co-parent in the process. Women: You haven't had a child, but have possibly considered the egg-freezing process. Perhaps, you are considering having a child on your own. Men: You may have had child from a prior relationship. Gay Male Couples: Are you looking for a woman to have a child and co-parent? Looking to fast track starting a family but haven't found the one? Is the clock ticking? Don't miss this opportunity. Apply Now. From FRIENDship to RELATIONship? Do you have a friend who you thought could be something more? Think you might be a good match? Or, should you keep things strictly platonic? Want to find out? A&E/Lifetime is looking for people (25+) who are willing to try dating their good friend or BFF for 30 days for a brand new docu-series! The Network wants to follow your dating journey from friends to lovers. Their relationship expert determines if you were really meant to be together…or, just be friends. If you’ve ever wondered about taking your friendship to the next level, they’d love to hear your story. Please state that you were referred by PreQualified Mates. Click Here to apply. Or send an email to cara.producer@gmail.com with any questions.